The American Association of Orthodontists recommends that most children should have an orthodontic screening by age 7. This allows Dr. Mark Joiner to determine if orthodontic treatment will be required and the best time for the patient to be treated. Many of the dentists in our community have been trained to identify orthodontic problems early, and may refer you to our office earlier than age 7. If early treatment is indicated, Dr. Joiner can guide the growth of the jaw and incoming permanent teeth. Early treatment can also regulate the width of the upper and lower dental arches, gain space for permanent teeth, avoid the need for permanent tooth extractions, reduce the likelihood of impacted permanent teeth, correct thumb sucking, and eliminate abnormal swallowing or speech problems. In other words, early treatment can simplify later treatment, after all the permanent teeth erupt. The orthodontic supervisory program is for patients who are not ready for treatment and have been placed on recall. This program enables us to monitor the eruptive pattern of the permanent teeth. Sometimes, poor erupted patterns of permanent teeth may be eliminated with early removal of baby teeth and reduce the treatment time required for braces. We notify your general dentist of any recommendations made during your visit. We normally see the patients on recall every 6-8 months to observe their progress as they grow. There is no fee for this program and it helps the orthodontist determine the optimum time to begin treatment and achieve the best possible result for your child. There are many cases that are best treated when most of the permanent teeth have erupted. 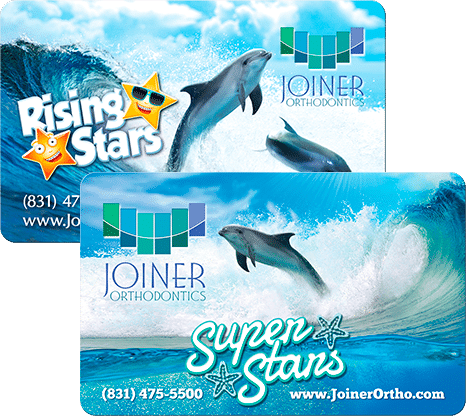 Dr. Joiner understands which types of orthodontic problems should be treated quite early (age 7-8) vs. those that may be comfortably treated at the more traditional age of 12 or so. Dr. Joiner looks at what is best for each individual’s health and at the same time, what is most cost-effective for the parent. If, in consultation with the child and parents, the decision is made to postpone treatment, we continue to monitor your child’s growth and development at periodic no-charge observation visits. Dr Joiner and his staff are worth 10 stars. His office is the highest rating I give to any medical/dental office! 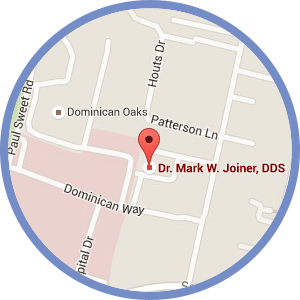 Dr Joiner has helped both my children thru orthodontics over many years and he and his staff have been consistently excellent. From the staff check-in, scheduling, and patient care I have felt in excellent hands. He addresses all my concerns without ever making me feel rushed and manages to do that all at the scheduled time despite having a very busy practice. In addition, he understands ways to motivate people to take an active interest in their care. I am in the medical profession and have used this office experience to try and emulate it in my own practice. The best! Dr. Joiner and staff are simply the best! Dr. Joiner's practice manages to combine state-of-the-art (and art it is!) orthodontics and great efficiency with an extraordinarily pleasant and personable delivery of services. That is to say that everyone is knowledgeable, fast, friendly and NICE! The office is tremendously kid-friendly from the decor to the incentive programs (and goodies) that encourage compliance. From the very beginning, we were impressed. My daughter's initial assessment was extremely thorough. We were informed of exactly what work she needed to have done and how that would happen. Throughout her treatment (nearly two years now) all of our questions have been more than satisfactorily answered, and she is making great progress. Look no further!